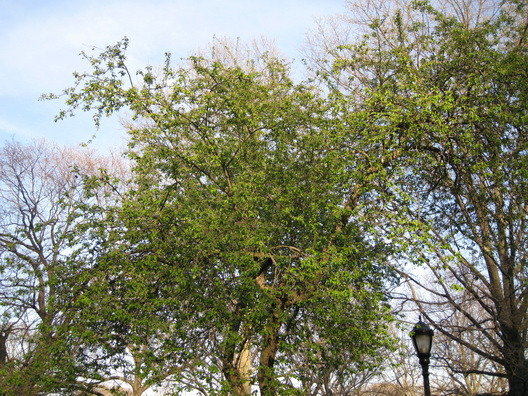 Our favorite Brooklyn park, Prospect Park, is starting to go green. Many trees are still a week or two from turning those early spring neon greens, but some of the early ones are already getting there. This greenness comes from the area around the Picnic House.